It's hard to get a new user. So it makes sense to make a real good effort not to lose one that you have. 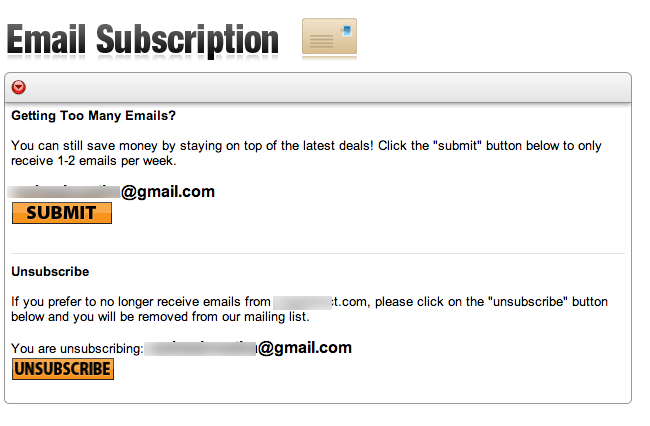 People who have agreed to subscribe to newsletters from you provide a straight communication channel. 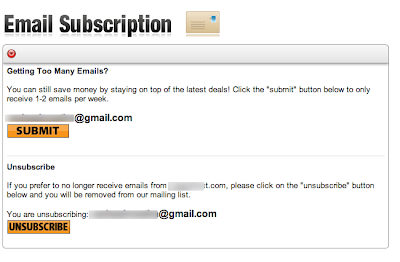 Not going into how they agreed in the first place, as users we know that it soon seems like spam in our inbox. If it becomes too much then users look for a way to get out of it. I liked this particular experience as I was trying to handle what was becoming too much of messaging from a site I used. As I clicked on the unsubscribe link from the mail, I faced the first attempt at keeping me with them. "Have we been sending you too many mails? ", Oh yes!! you have been. That's what brought me here. But I appreciate the fact that you seem to have realized that as a possibility.. 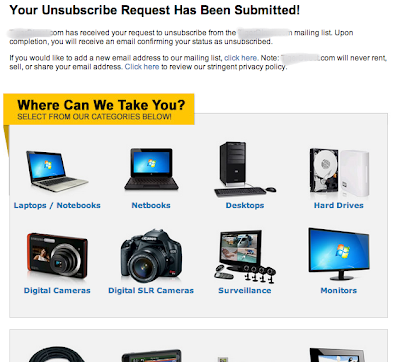 Nevertheless, I no longer wanted the mails and so chose 'Unscubscribe'. Done!! I thought.. but they had not given up on me yet!!! What if I still wanted their mails but on a different email address?? Things do not end here. "Ok. Ok.. we understand, but now that you are here (and we don't know when you will be here again) why don't you take a look around... and may be give us some business!!!" Well I ended it there. But not without appreciating their efforts at keeping me was their customer. As an analyst, I get into discussions around experience like these and in the past I have allowed customers to part without much of a fight. Next time around I am going to make a real effort to cling on to my customers. Would you not?? ?